My Mom is home for the holidays, hallelujah! She helps me so much with baking and wrapping and generally trying to keep myself together that week before Christmas. She’s like an elf but a lot better. We have some very serious Christmas cookie traditions in this family. Last year I shared my top favorite #1 best-ever cookie recipe with you, the Chocolate Crinkle. 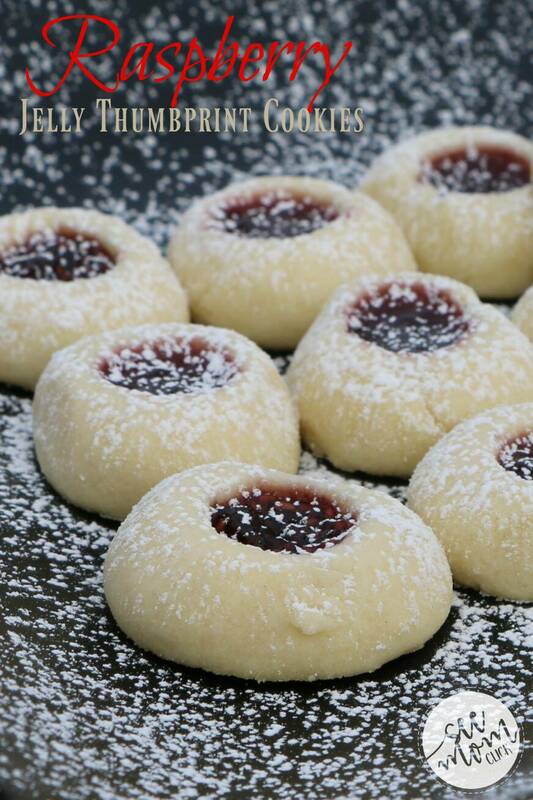 That’s my Mom’s recipe, too, and this year I’ve got another family favorite for you: Raspberry Jelly Thumbprint Cookies. I just shared this photo on Instagram and a few of you asked for the recipe, so I texted my Mom to get it for us. She is the keeper of all the good recipes, like all moms are, right? This one is so good, so buttery and delicious. Why do they have to be almost gone? We have time to make more before Christmas. I’ll be okay. And with that pretty red center, they’re actually perfect for Valentine’s Day, too. I’ll be hauling this recipe out again in February. It’s really simple with just a few ingredients. 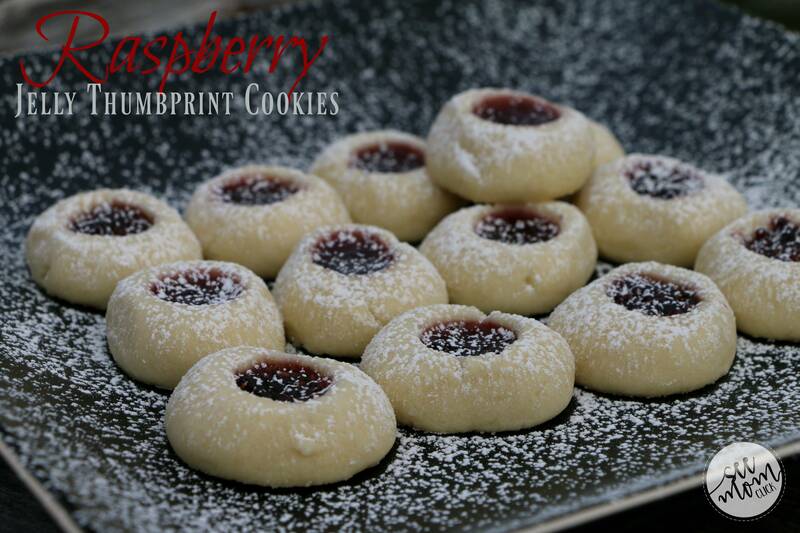 This Raspberry Jelly Thumbprint Cookie Recipe requires only a few basic ingredients and is really simple to make. They are delicious, too! The perfect Christmas cookie to share. Add flour, 1 cup confectioner's sugar, and butter to your mixing bowl and mix until well-combined. Roll the dough into 1" balls and place on ungreased cookie sheet. They really don't spread so you can put them pretty close together. 1" apart is fine. Use your thumb or a tiny round spoon (like the back of small measuring spoon) to make an indent in each ball. Fill the indents with raspberry jam. Bake for 10-12 minutes or until they're slightly brown on the bottom. Have a spatula ready to lift one or two up and look. They don't really get brown on top when they're done so this is the only way to know when they're cooked. Dust/sift some confectioner's sugar on top to pretty them up after they've come off the cookie sheet. Cool completely before serving. Store in an airtight container. They freeze well. That’s it! Other than the raspberry jam (and get the good stuff for these cookies), you probably have the other ingredients on hand already. They’re a nice Christmas cookie to add to your collection of favorites because they’re really not super sweet. You can feel good about eating like 5 of them in one sitting for this reason. Trust. Mmm… I’m going to have to make more of these. High five to my Mom for sharing another one of her delicious recipes with me to share with you! Enjoy!